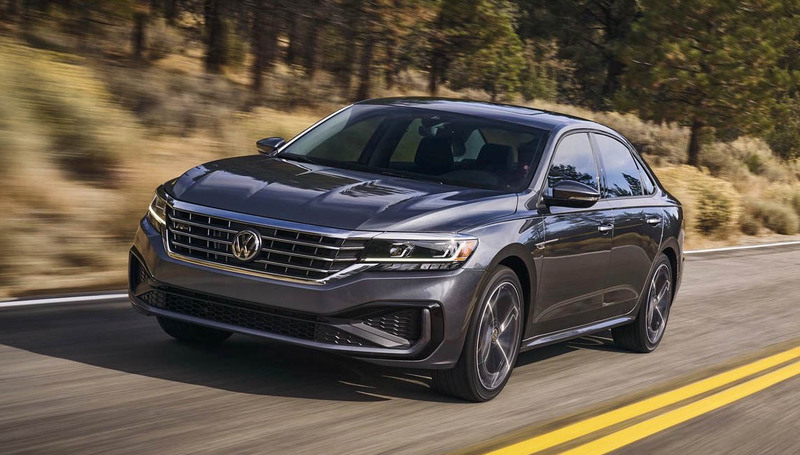 Volkswagen has revealed the new version of Passat midsize sedan eight years after the outgoing model went on sale claiming to be specifically designed for America. Said to be the only midsize sedan to offer German driving dynamics at an affordable price range, VW has improved the styling bits besides upgrading the technologies with convenience and driver assist in mind. The 2020 Volkswagen Passat has been redesigned but it is based on the same platform as the previous model with couple-ish roofline, prominent front grille with horizontal chrome slats, sleek LED headlamps and tail lamps as standard, Passat badge running across the width of the boot, and 17-inch aluminium alloy wheels as standard with 18- or 19-inchers as optional. 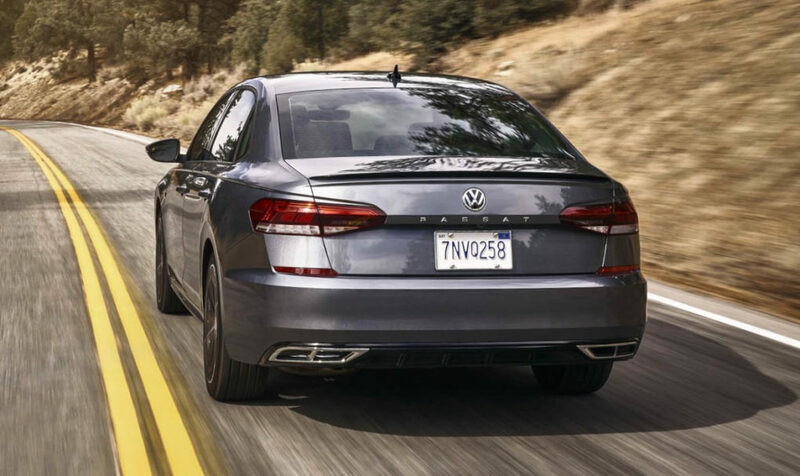 On the inside, the refreshed Passat comes equipped with new instrument panel and glass-covered touchscreen with MIB II Composition Media infotainment, navigation, Apple CarPlay, Android Auto and MirrorLink while the top-spec models feature the Fender Premium Audio system. The horizontally positioned air vents, a premium dashboard, décor designs based on trim levels, V-Tex leatherette and Nappa leather seats as an option, heated front and rear seats, power driver’s seat with memory, dual-zone automatic climate control and power-folding, heated side mirrors with memory are other important bits. Cornering lights, auto-dimming rearview mirror, remote start, rain-sensing wipers, keyless access and push-button start, Voice Control, and Easy Open trunk are part of the Adaptive Front-lighting System (AFS) package. An assortment of driver assistance and safety features include Forward Collision Warning and Autonomous Emergency Braking, Pedestrian Monitoring, Blind Spot Monitor, Rear Traffic Alert, Adaptive Cruise Control (ACC); Lane Keeping Assist, Parking Steering Assistant with Park Distance Control, Automatic Post-Collision Braking System and so on. 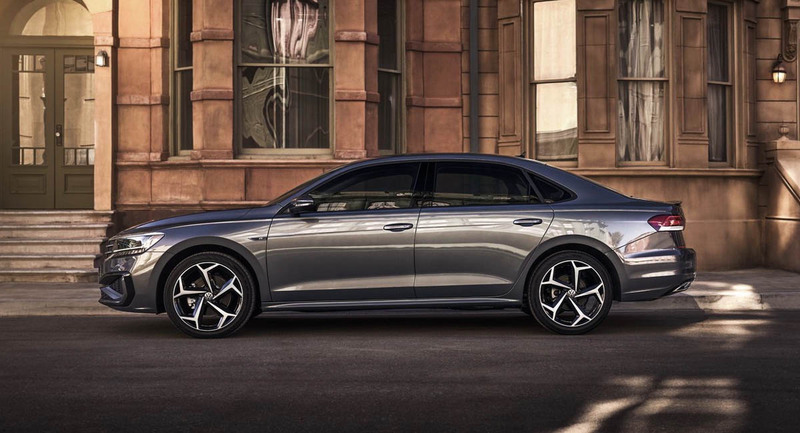 The new Passat takes power from a 2.0-litre turbo direct-injection TSI petrol engine developing 174 horsepower and boosted torque of 280 Nm due to the new torque converter and software. Power is transferred to the front wheels through a six-speed Tiptronic automatic transmission. 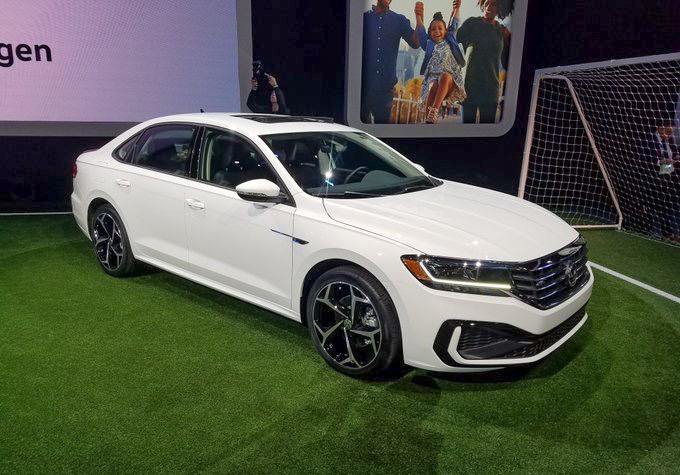 Scheduled to reach showrooms in the summer of 2019 in the US, the new Volkswagen Passat will be retailed in four trims along with a launch-only Limited model. It gets People First Warranty that provides bumper-to-bumper warranty for six years or 72,000 miles, whichever comes first. In India, the Passat is available in Comfortline and Highline trims and comes priced between Rs. 31 lakh and Rs. 40 lakh (on-road). We can expect the new model to arrive sometime next year in India considering that the Camry is receiving a new generation and the Superb due a facelift during the course of 2019.